You’re feeling a little like a warrior. Every day, it’s another battle. You’ve got your fierce-face on and yes, you win most times but combat takes a lot out of you. Still, your doctor has your back, and there’s no way you’re giving up this fight with cancer. But what if your weapons gained power, mid-skirmish? What if you could bring a whole arsenal to do battle with the disease? 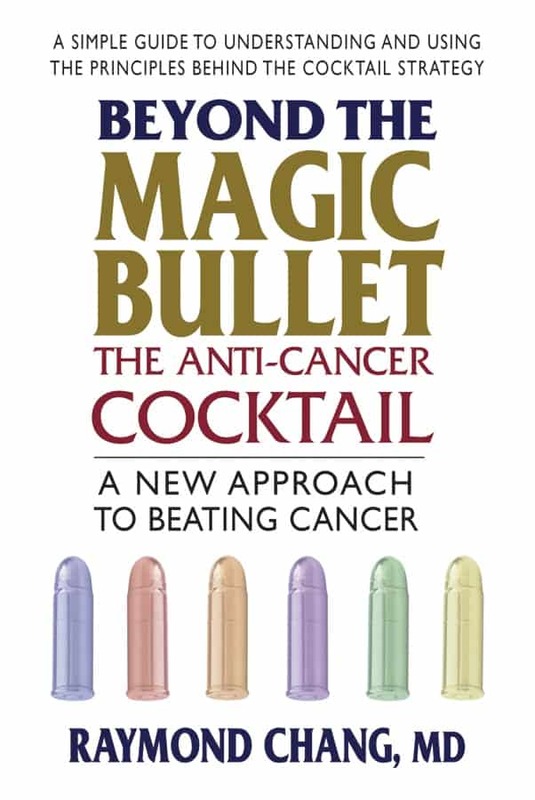 In the new book “Beyond the Magic Bullet – the Anti-cancer Cocktail: A New Approach to Beating Cancer ” by Raymond Chang, MD, you’ll find out how. More than forty years ago, the National Cancer Act declared “war” on one of the most dreaded diseases known. In the past four decades, we’ve learned a lot about cancer, but we still can’t completely cure it. What complicates things for researchers is that there is no one cancer (there are over 100 distinct ones) and each can mutate differently, depending on the patient. Therefore, since there is no singular cancer, there is no singular treatment. “Simply put,” says Chang, “the current strategy and standards for treating cancer are inadequate.” He points out that there are four basic common treatments for cancer now (radiation, chemotherapy, surgery, and hormone therapy) but these treatments alone are not working well enough. He advocates a “cocktail” to attack the disease. What would happen, he says, if two or more “specialized cancer therapies” are added to a “classic” treatment? Or how might Eastern medicine help kill cancer cells if used in conjunction with Western medicine? Many cancer treatments are ministered one at a time; what would happen if several methods were used simultaneously to “achieve the critical mass needed to… reverse the tide”? We know the latter course of action works with HIV; why not with cancer? Chang says that you may already be consuming foods and medicines that could enhance treatment; many off-label medicines do double-duty. Conversely, you may need to embrace a macrobiotic diet and eliminate artificial ingredients or processed foods while under a physician’s care. When a doctor says the C-word to someone, it’s natural that they panic and think the worst. If it’s happened to you, though, take a deep breath. Then take a look at this book. Though there’s a lot of medico-speak here – which can be a bit confusing – “Beyond the Magic Bullet” otherwise makes a lot of sense. Author and oncologist Raymond Chang advocates something radically different, his words are soothing and reassuring, and it’s empowering for patients to take the cancer-bull by the horns. But will Chang’s methods work? 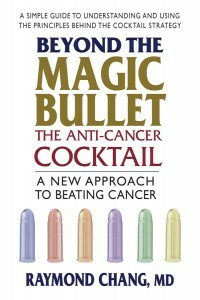 I couldn’t say, but I do think that this is a great book to take with you next time you see your oncologist, and ask. For you, “Beyond the Magic Bullet” may be the weapon you need for a fighting chance at survival. The Bookworm is Terri Schlichenmeyer. Terri has been reading since she was 3 years old and she never goes anywhere without a book. She lives on a hill in Wisconsin with two dogs and 12,000 books. For more information, visit bookwormsez@gmail.com. Book Review: “Up: How Positive Outlook Can Transform Our Health and Aging” by Hilary Tindle, M.D., M.P.H.